Today’s interview is with a significant player in the world of those who seek to improve trust in the business world – Barbara Kimmel. Barbara is CEO and co-founder of Trust Across America – Trust Across the World. She is also the co-creator of the proprietary FACTS® Framework – a unique methodology measuring the trustworthiness of public companies. We focus on FACTS in this interview. Charlie Green: Barbara, welcome to Trust Matters, and thanks for sharing your insights with us. First, you founded Trust Across America – Trust Across the World. What is that, and what do you do? Barbara Kimmel: Thanks for having me, Charlie. TAA-TAW’s mission is to help organizations build trust. We’re in our seventh year now. Our proprietary FACTS® Framework ranks and measures the trustworthiness of over 1500 of the largest US public companies on five quantitative indicators of trust. I also run the global Trust Alliance, am the editor of the award winning TRUST INC. book series and am a Managing Member at FACTS® Asset Management, a NJ registered investment advisor. CG: OK, let’s get into FACTS®. Just what is it (and what do the letters stand for)? BK: FACTS® is an acronym covering Financial Stability, Accounting Conservativeness, Corporate Governance, Transparency and Sustainability. This multi-factor framework was developed by a cross-silo multidisciplinary team in the wake of the financial crisis in 2008. The Framework evolved by asking the same question of dozens of “siloized” professionals from leadership, compliance and ethics, legal, accounting, finance, HR, consulting, CSR, sustainability, etc. “What do you consider an indicator of corporate integrity or trust “worthiness” that can be independently and quantitatively measured without requiring the input of the organization itself? While every professional had a different perspective, the same indicators were repeatedly mentioned within each silo. The governance professionals pointed to board composition and compensation policies. Those in finance pointed to stable earnings, and so on. By blending these indicators of corporate trustworthiness into a spreadsheet, the first quantitative measure of organizational integrity and trust was created. CG: How many metrics in total are subsumed in all those five major categories? And how did you weight the categories? BK: In all there are approximately 200 specific distinct metrics. The five categories are equally weighted. CG: Can you give me a current example of the model’s applicability? BK: Corporate leaders who want to be proactive about building and communicating trust across all stakeholder categories, or who want to avoid the next crisis can use our data to discover their organizations’ strengths (and weaknesses). Because our data is holistic and does not rely on employee surveys or questionnaires, it makes glaringly apparent where and why the Wells Fargo and Enron-like “risk” often lays hidden in the 1500+ public companies evaluated on an annual basis. A company might have a high score in 4 out of 5 FACTS indicators and a low score in the 5th. Digging further into our data allows us to identify the cause of the low score and often this is a red flag that should not be ignored by leadership. Third parties including major consulting firms, investment managers and associations are also requesting information. After 7 years, the FACTS Framework continues to make a solid case for the elusive link between trustworthiness and profitability. In 2008 The Economist published a briefing paper sponsored by Cisco, called “The Role of Trust in Business Collaboration” stating that “tens of millions of dollars had been spent evaluating corporate governance – but a definition of corporate trust continues to elude us.” We at Trust Across America took on that challenge. What if the most trust “worthy” companies could be identified? That’s what we set out to do. CG: What does FACTS tell us? BK: Now with seven years of unique and compelling data, FACTS® data tells us which companies are doing more than just “talking trust.” It also shows us high-risk companies that may be the next to make the news. The majority of companies and their leaders still think that integrity and trust are soft and immeasurable skills, and don’t consider integrating trust-related data from one corporate silo to the next. Balancing long-term value creation against the need to “maximize earnings” and meet the always-looming quarterly numbers is hard work. Waiting until the next expensive corporate crisis will afford leadership the opportunity to talk about the importance of integrity and trust, and how measures will be implemented to safeguard against future missteps. Implementing measures to increase the organization’s level of trust before the crisis is a proactive business strategy requiring both a 21st century mindset and the right tools. CG: What about the long-questioned link between Doing Good and Doing Well: does it exist? Are highly trustworthy companies more profitable, or more successful in general, than lower-trust-rated companies? Or is it just a soft fluffy wish? CG: Where does FACTS fit in the scheme of trust research? BK: I don’t know that it does “fit.” Much of the trust research appears to rely on qualitative surveys, not quantitative metrics. We are unique in that regard. CG: Well, let me toot your horn for you a bit. I don’t know of any other research that combines rigorous definitions, seriously vetted data, a breadth of subjects and a 7-year-plus timeframe anywhere near as much as does the FACTS data. In what form do you make it available to researchers, companies or individuals today? How can people reach out to you? CG: What do you see as key issues facing trust in organizations today? 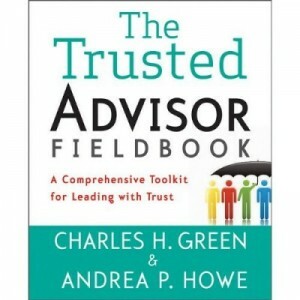 BK: At both the individual and organizational level, trust is not only a tangible asset but also serves as a tiebreaker in every relationship. In most organizations, leaders take this asset for granted, viewing it as a “soft” skill or ignoring it completely. The assumption is high trust simply “exists” at the individual, team and organizational level. Convincing leaders of this remains a key issue. CG: Let me push on that. If merely convincing them is the problem, then the FACTS data ought to solve the problem. I suspect that’s not the whole deal, however. Some if also lies in not knowing what to do about it. Can you speak to that? BK: There is no single “department” that “owns” trust in an organization, so it tends to be either overlooked or taken for granted until there is a crisis. Then lots of money is dumped into trying to “restore” via crisis communications something that never existed in the first place. But I really do think the main issue isn’t knowing what to do – it is, as I said, convincing leaders that it’s a problem. How hard was it to see that a culture of “hard-selling” retail banking products to unsophisticated consumers at Wells Fargo was trust-destroying and unethical? This is not a problem of insight, metrics or technical sophistication; this was willful moral blindness. Leadership needs to be proactive about building trust and they need to own it. Only if they, and perhaps regulators, begin to take it seriously will organizations become more trustworthy. CG: Barbara, many thanks for your time today, and best wishes to Trust Across America – Trust Across the World. Tips, Tricks and Trust Know Yourself. Wait, what does that even mean?